Yvonne is the Director of Refugee Settlement Programs at the Ministry of Citizenship and Immigration (MCI) and is also responsible for providing direction to the design, development and implementation of a broad range of programs and services, including refugee resettlement programs, newcomer settlement and integration services, and programs that help to build the capacity of the voluntary and not-for-profit sectors. Between 2014 and 2016, Yvonne was the Acting Director of Immigration Programs at MCI and led the delivery of settlement, language training and labour market integration programs. 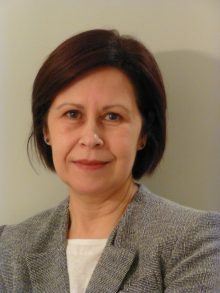 She joined the Ontario Public Service in 2006 and has held managerial positions at the Ministry of Citizenship and Immigration and the Ministry of the Attorney General. Before joining the OPS, Yvonne spent ten years working at the Ontario Trillium Foundation leading the delivery of funding programs that supported arts and culture programs, social services and environmental initiatives. Yvonne has also worked in a variety of roles in the not-for-profit and international development sectors. Yvonne has a Bachelor of Arts in Sociology from the University of Toronto and a Master of Public Administration from Queen’s University.